Christmas was the highlight of a great year at PBC! The Church @ Payatas would like to express our heartfelt thanks for those of you who invested in us through out the year. Not only did we raise the $2000 needed to have the most spectacular Christmas Celebration for 1oo poor kids but we did it in about two weeks. God is awesome! Click here to see the photos of that event. This is the story of the Church that is totally full! We still have very extensive outreach programs. We reach thousands with the Gospel. We have three Pastors that have come out of our Church. We have reached many with our music ministry and we are growing new Christian leaders every day. Click the link to see how over crowded we really are and if you will, ask God to give us a bigger place. We have had Baptisms , Dedications and new Memberships. God is always building His Church. This year we had three different homes video taping our performers. We improve every year and it is not too often do you see carolers who play violins, recorders, guitars and a beat box, flute… It’s a sight to see. Our youth went on three different caroling expeditions. The funds they collected will pay for their outing. Our Children at their Schools. 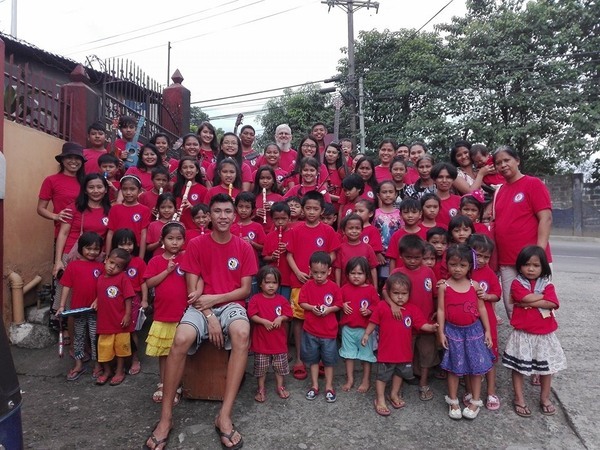 One of the problems with our Payatas children is having parents who left them or just do not get involved. We spent funds to provide food and gifts for our children’s Christmas parties at school. They are so happy to know we love them and care to be part of every part of their lives. One of our College students has qualified for a scholarship. Praise God! This will free up funds for other students. We thank all of our supporters whether they be one time or some time givers or those who give on a regular basis. God is using you and all the accomplishments are to your credit also.